In the spirit of the day and lacking the resources and imagination to do something as elaborate as the Guillermo del Toro couch intro for the 2013 Treehouse of Horrors episode of The Simpsons (definitely worth a click through) I have elected instead to construct a portfolio of what I am calling the Halloween Monsters – a group of ten stocks that have been absolutely killing it this year, leading the markets higher. I intentionally left off Google (GOOG), in spite of an excellent 2013, largely because this behemoth now has a $346 billion market capitalization and there are some limits on how quickly on organization this size can grow. With the inclusion of Baidu, the list reminded me a little of something I did back in October 2007, when I sensed a little too much froth in the stock market and created something I called the OHFdex, which began as a “watch list of Overripe High Fliers” and quickly evolved into an index designed to track 14 such stocks. When the markets turned down, the group was pummeled, with some spectacular crashes from the likes of CROCS (CROX), Las Vegas Sands (LVS), DryShips (DRYS) and others. The current list is certainly filled with high fliers, but whether they are overripe or capable of soaring higher is not as obvious as it was in October 2007 – at least for me. For that reason, I will keep a close eye on the Halloween Monsters portfolio going forward, as their movements will likely be a tip off as to where the broader markets are headed. At the very least, I expect the stocks on this list to offer some interesting fodder for the archives, just as the OHFdex did in 2007 and 2008. Who knows, perhaps the next iteration of the OHFdex is just around the corner. For more on the OHFdex and similar flights of fancy, check out the links below. Four Horsemen of Technology Running Strong Again? At the beginning of the month several interesting announcements came out of the CBOE Risk Management Conference in Portugal. One which particularly caught my interest was the announcement of the launch of the new CBOE Short-Term Volatility Index (VXST), which is essentially identical to the VIX, except that whereas the VIX is looking ahead at a window of 30 calendar days, the VXST measures implied volatility of options on the S&P 500 index (SPX) for the next 9 calendar days. The VXV has been a favorite subject of mine going back to my initial comments on the index and the VIX:VXV ratio I pioneered as an indicator back in December 2007. With the new VXST, investors now have a better gauge of volatility expectations to apply to time frames that are appropriate for weekly options, which are on track to account for about 25% of all options trades by the end of the year. 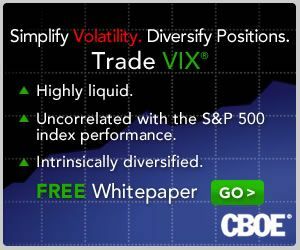 The launch of VXST options opens up a whole new set of possibilities, not the least of which is a VXST:VIX ratio that offers some possibilities as an indicator that are similar to those of the VIX:VXV ratio. In the chart below, I have mapped not the ratio of VXST:VIX, but the differential between the two indices. With VXST historical data going back to the beginning of 2011, it is worth noting that the VIX has been higher than VXST about 61% of the time. Typically, when volatility spikes, VXST spikes much higher than the VIX, with the bulk of the 39% of the instances in which VXST is higher than VIX occurring mostly during periods of elevated volatility. 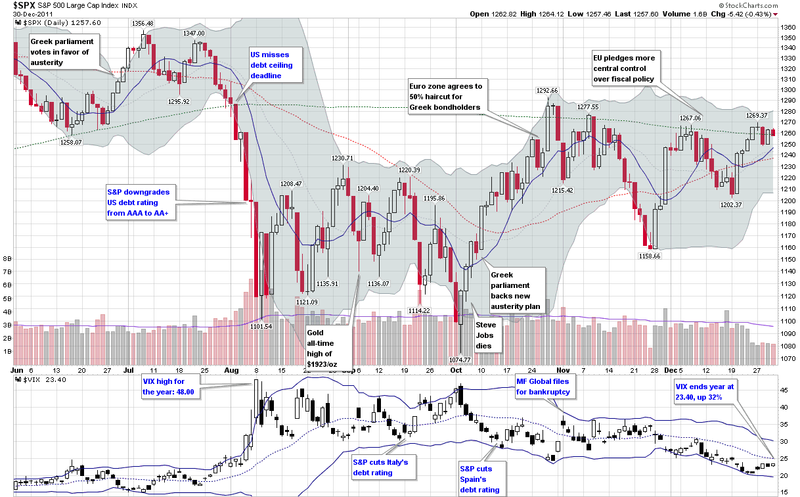 I will go into much greater detail regarding VXST:VIX vs. VIX:VXV at a later point. For now it is worth noting that these ratios have some advantage to comparing the VIX futures term structure in that the indices focus on a fixed time period, while the days to expiration of the VIX futures is constantly in flux. As compelling as VIX products are for trading, I can imagine that VXST options and futures might be even more attractive to certain types of traders. Also, if VXST futures gain some traction, I can envision ETPs based on these that might rival the interest in VXX at some point. In other words, this could easily turn out to be a huge development in the volatility space. That being said, today’s iteration of my graphical depiction (“field guide”) of the VIX ETP universe is somewhat of a compromise. This compromise is due in part to the proliferation of VIX ETPs that combine long and short legs and have those legs dynamically allocated. The first of these to launch (back on August 31, 2010) was the Barclays ETN+ S&P VEQTOR ETN (VQT), which was followed by the First Trust CBOE S&P 500 Tail Hedge Fund ETF (VIXH) on August 29, 2012 and later by the PowerShares S&P 500Downside Hedged Portfolio (PHDG) on December 6, 2012. The field became considerably more crowded this year when VelocityShares launched the Tail Risk Hedged Large Cap ETF (TRSK) and the Volatility Hedged Large Cap ETF (SPXH) on June 24, 2013. Rather than cramming these five similar products into the same narrow space, I have separated them from the grid and given them their own “VIX Strategy ETPs” box. With VIXH and PHDG now having a reasonable body of historical data to analyze, I have had a fair amount to say about these products already and will have more to say about them in the near future. TRSK and SPXH present an entirely different approach to hedging with volatility products and I will devote a separate post to these in short order. In the meantime, the graphic below shows the performance of all the VIX and volatility ETPs from September 20 (when the VIX closed at 13.12) to October 8 (when the VIX closed at 20.34), when the VIX spiked 55% increase in just 12 trading days. As the graphic shows, for the most part the higher the leverage and the shorter the duration, the better the VIX ETP performed during the crisis. The performance of the VIX strategy ETPs was a mixed bag, with only TRSK posting a gain during this period. Another perennial hedging favorite, XVZ, also posted a gain. The trick with these hedges is one of timing. As has been noted here on many instances in the past, the top performers in a crisis are typically those which are ravaged by price decay due to roll yield and/or compounding when the VIX does not spike. 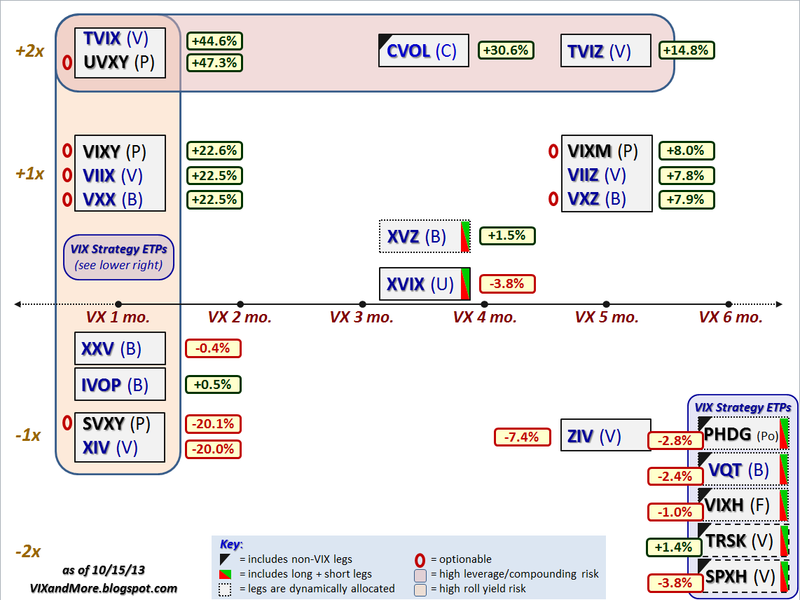 Compare the winners and losers in the graphic below with the winners and losers tallied in VIX ETP Performance in 2012 to gets a sense of how expensive it can be to carry speculative long volatility positions as well as more dynamic hedging positions over the course of an extended period. The bottom line is that it is almost impossible to create a VIX ETP that will perform well when the VIX spikes and when there is below average volatility or expectations of future volatility. This is not to say that it is impossible to time long and short volatility positions in order to be positioned to take advantage of increases and decreases in volatility, only that most buy-and-hold scenarios have a negative long-term expectation and timing the volatility market is probably more difficult than timing the equities market. The bottom line is that if you think Democrats and Republicans might have some difficulty navigating the January 15 deadline for funding the government or the February 7 deadline for raising the debt ceiling once again, then look no farther than the graphic above for some ideas about how to trade these events. Democrats and Republicans have been fighting over budgets and related matters since before any of us were born and while the debate has been heated at times, only recently has the credit of U.S. debt been called into question as a result. During the impasse that led to the government shutdowns of November 14 – 19, 1995 and December 16, 1995 – January 6, 1996, for instance, there was nary a whiff of panic in the air, as the VIX never made it above 15 and spent a good portion of the shutdown in the 10s. The last three instances of party budget squabbling have been much different than the Clinton-era budgetary battles and one only has to watch the trajectory of the VIX during these battles to get a sense of the uncertainty, anxiety and risk that was priced into SPX options during the period. Granted, none of these budget and debt ceiling battles has unfolded in a vacuum and the August 2011 debt ceiling battle played out against the backdrop of a dramatic worsening of the situation in Greece and euro zone sovereign debt in general, but the relative moves in the VIX during these three crises can still be instructive. Note that the August 2011 debt ceiling crisis is a classic example of risks that turned out to be much greater than almost everyone had predicted, whereas the fears related to the December 2012 sequestration crisis quickly disappeared. Historically there have been many more false alarms than crises which have escalated out of control, which is part of the reason why investors tend to underestimate and/or discount the full potential of each threat and why the VIX has a tendency to spike and then mean revert fairly quickly. With a little over a week before the October 17 debt ceiling deadline hits, the VIX is higher now than it was at a similar stage in July 2011 or December 2012. Certainly the political landscape has changed since the last two budget battles and both the Democrats and Republicans have had an opportunity to refine their strategies and tactics in the interim. How it all plays out this week and next is anyone’s guess. I still find it hard to believe that there will be a default, but that still leaves plenty of room for the type of “resolution” that drags out the current anxieties and leads to additional pitched battles – some of which may be even more costly – down the road. Weekends pose an interesting set of problems for the investor/trader, particularly when there is an ongoing crisis or a reasonable risk that a new crisis lurks around the corner. Today we have a perplexing situation in which there is both an old crisis (government shutdown) and a new crisis just around the corner (debt ceiling limit), as well as the increasing likelihood that the two of these are going to merge into one bigger crisis. How should an investor think about this situation? First, they need to form some opinions about event risk, including a range of scenarios from a quick and comprehensive resolution of the government shutdown and the debt ceiling to prolonged gridlock that results in the U.S. defaulting on its obligations. The fun part is assigning probabilities to these scenarios, coming up with a probability weighted view of the future and making (semi-)rational decisions about portfolio protection and speculative opportunities after considering risk and potential reward. Sounds like a snap, doesn’t it? Some investors may not fully appreciate that event risk or event volatility is a two-sided sword. Sure, there is risk that many of us have once again overestimated a bunch of elected lemmings officials and their ability to act in the best interests of their country and in so doing reprise those wonderful memories from August 2011, but there is also the risk that some progress – or even a small sign that the tide is turning – could unfold over the weekend and cause stocks to soar on Monday as short-sellers absorb the brunt of the damage. Attaching a meaningful probability to these scenarios may seem futile, but running through the scenarios in one’s head to see what the implications are is certainly worth a little bit of spare brainpower. Just a few months before the 2011 debt ceiling crisis, there was the three-pronged crisis that hit Japan, combining an earthquake, tsunami and nuclear meltdown. I talked about this crisis in Fukushima Daiichi and Event Theta and even invented a new term, “event theta,” to describe whether the passage of time was a positive or negative development for those with positions in volatility or other instruments. “As these events unfolded, seemingly like a slow-motion train wreck, I kept asking myself whether time was in favor of or working against the efforts of those who were trying to limit the damage to the nuclear facility and surrounding areas. In other words, was this a positive theta event (time in our favor) or a negative theta event (a fight against the clock.) Not being an expert in the field of nuclear energy and knowing that certain factors could spiral out of control quickly, but also knowing that efforts were underway to stabilize some of the processes in the plant, I was left to guessing whether current efforts were more likely to fall short and result in a vicious cycle or were expected to stem the problem and turn the tide in favor of the rescue team. I suspect that for most of this week, event theta has been negative, meaning that the passage of time without meaningful progress toward an agreement was bearish for equities and bullish for holders of long volatility positions. With the weekend coming up and another two plus days of the news cycle, polling data and behind-the-scenes strategizing, it may be that event theta is closer to neutral and perhaps even positive. This is not to say that shorts should cover their positions before today’s close or anyone with a long volatility position should close out their positions and take profits, only to point out that at least until markets open again on Monday, risk for longs and shorts is becoming more balanced and determining the risk-reward payoff for a variety of positions is a much more difficult proposition. Before the weekend is upon us, investors may wish to give some thought to the 2011 debt ceiling crisis, the 2012 sequestration battle and the timeline for how the 2013 deadlock might play out. In the meantime the, graphic below [an excerpt from The Year in VIX and Volatility (2011)] and the links below that should provide some food for thought about these and a number of related issues.